Patients in the greater Palm Springs area know that our general dentistry practice uses state-of-the-art technology and techniques to improve patient care and overall comfort. We always want to ensure positive experiences for our patients, and visits that are relaxing and rejuvenating. Sometimes people who are anxious or uncomfortable about dental visits avoid checkups for long periods of time. That's when sedation dentistry may be an extremely helpful option. Sedation dentistry refers to various techniques that dentists can use to help patients achieve a heightened state of relaxation. 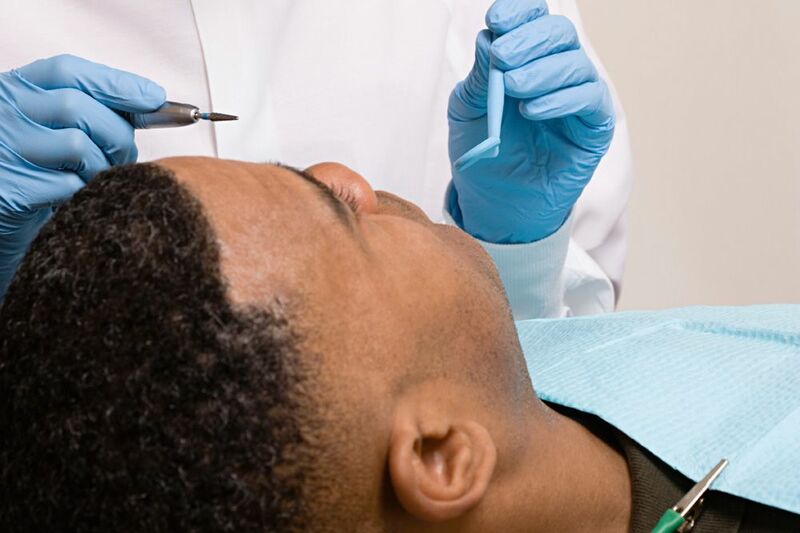 Dental sedation will help reduce stress and anxiety while in the dentist's chair, which will be key to performing and completing procedures in as safe a manner as possible. Our practice offers oral sedation options. This means that patients will take an oral sedative before coming to the office. By the time their appointment begins, the sedative will have started taking effect. Patients will find themselves in a heightened state of relaxation, though they will still be conscious and responsive to their dentist. As a safety precaution, patients should have a loved one drive them to and from the practice so they reach the office and home safely. Those who undergo dental sedation should avoid operating vehicles and heavy machinery for a bit of time after their appointment. Sedation dentistry is an excellent option to consider for people who suffer from dental phobia. This means people who have an extreme fear of the dentist and dental work. In such cases, people with dental phobia may avoid getting dental work performed for months, leading to serious wellness issues. With sedation dentistry, the patient will be so relaxed that the normal fear they experience will not register. Patients who are generally anxious and do not suffer from dental phobia specifically can also benefit from sedation dentistry. The sedative will put their mind at ease during the dental treatment process, allowing them to get the treatment they need without undue stress or difficulty. If you are going to be in the dentist's chair for a few hours, it can be extremely uncomfortable just sitting there. To enhance comfort and help the time go by a bit faster, sedation dentistry is helpful. Complicated dental work or protracted dental visits will not seem as much a chore thanks to dental sedation techniques. If you have cerebral palsy or other conditions that affect the position of your body, dental visits can be extremely uncomfortable affairs. Dentists can use sedation options to help reduce patient comfort. This relaxation can decrease the inconveniences experienced by people with certain needs. Sedation dentistry may be an ideal option for you. It's important to discuss these issues in person rather than just online. If you suspect that dental sedation could be the right thing for you, we'd love to discuss this and other dental health topics during a visit to the practice. For more information about sedation dentistry and how it can improve your experience during a dental visit, be sure to contact our cosmetic and restorative dentistry center today. The team at our practice will work closely with you to ensure optimal dental health.